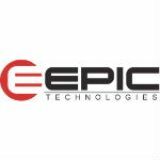 Epic Technologies, the region’s leading IT services company, announced today that the company will change its name to EpiOn IT effective November 1, 2017. The new name, EpiOn IT, honors the firm’s past while also embracing their rapid growth as a provider of cloud computing solutions and highly responsive technical support. Many businesses are enjoying a cycle of growth, yet find themselves hamstrung by workforce availability or productivity issues. That’s why EpiOn IT’s core purpose revolves around the concept of “Empowering people to achieve more through technology.” The new name hints at both the “always on” nature of their solutions and the “on it” responsiveness of their technical support. That reliability and responsive support translates directly into improved productivity for the firm’s clients. The future of business IT is “cloudy” as companies increasingly turn to the flexibility and reliability of hosted solutions in lieu of capital investments in their own technology. EpiOn IT recognized that trend years ago and built its own cloud hosting facilities right here in Tennessee. Today, businesses across the region (and even across the U.S. and Mexico) are running on the firm’s locally hosted cloud solutions for servers, data storage, desktops and phones. It is this strategic shift and investment that is driving EpiOn IT’s growth and creating opportunities for area businesses to leverage enterprise-quality technology for a fraction of the cost of ownership. About EpiOn IT: EpiOn IT is a leading provider of cloud-hosted solutions. While EpiOn IT works with hundreds of clients across many industries, they have a particular focus on medical practices and locally-owned manufacturing and distribution companies. EpiOn IT focuses on empowering small and mid-sized organizations to achieve more through technology. As the firm says in its tag line, “IT’s ON with EpiOn! Your responsive, reliable, IT services partner.” For more information, visit www.EpiOn.IT . Epic Technologies has been serving the Cookeville area since 1997, providing IT Support such as technical helpdesk support, computer support, and consulting to small and medium-sized businesses.